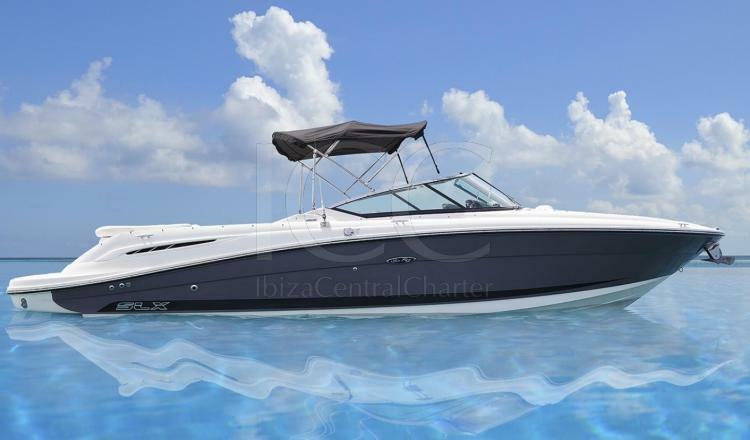 These Boat is one of the best choices you can make to have an unforgettable day in ibiza. 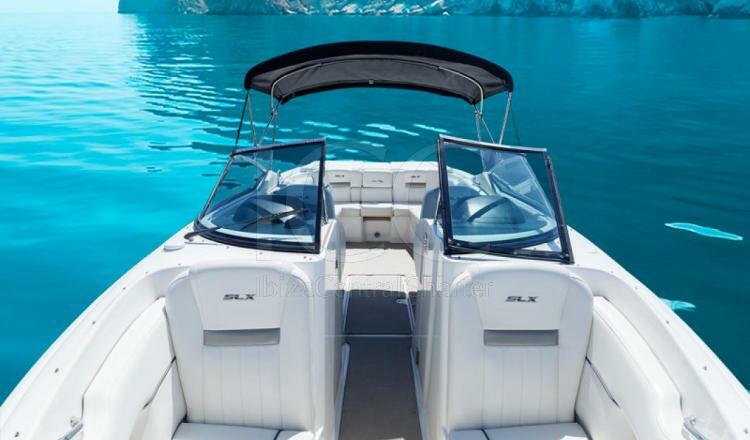 In the boat Sea Ray 270 SLX DSC maximizes the space, which allows 10 people to enjoy comfortably in a boat of almost 9 meters in length. 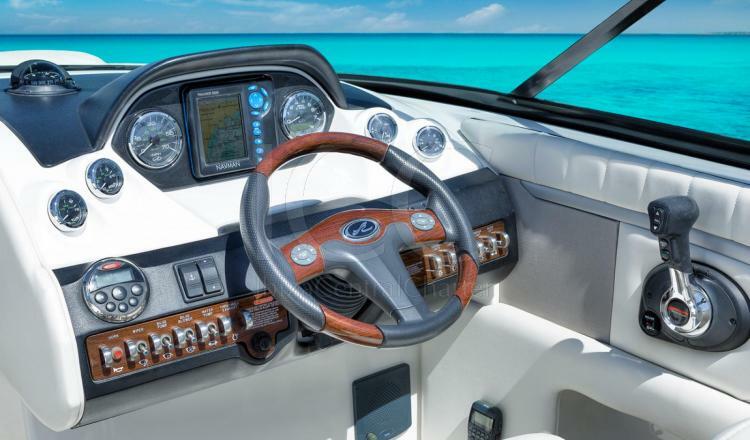 It has a spacious design with ease of movement on board. The bow is actually almost a room where passengers can stretch in the twin front seats or turn it into a large solarium for sunbathing. The aft area is perfect for entertainment thanks to the bar counter with fridge and a convenient storage for various drinks. 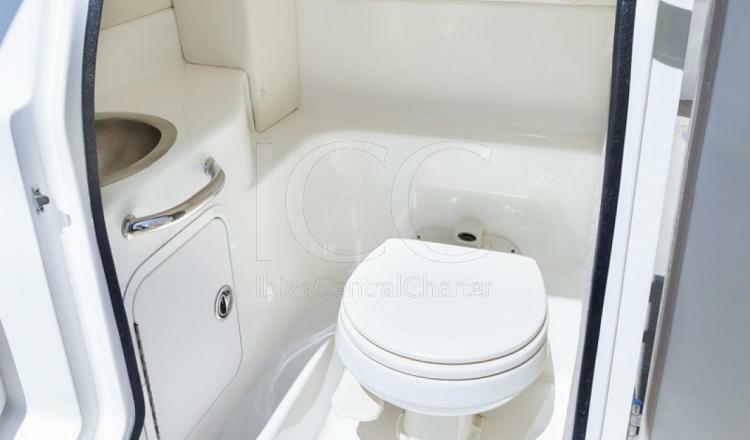 The comfortable L-shaped seats can be complemented by a removable table for snacks and drinks that can also be inserted in the bow. 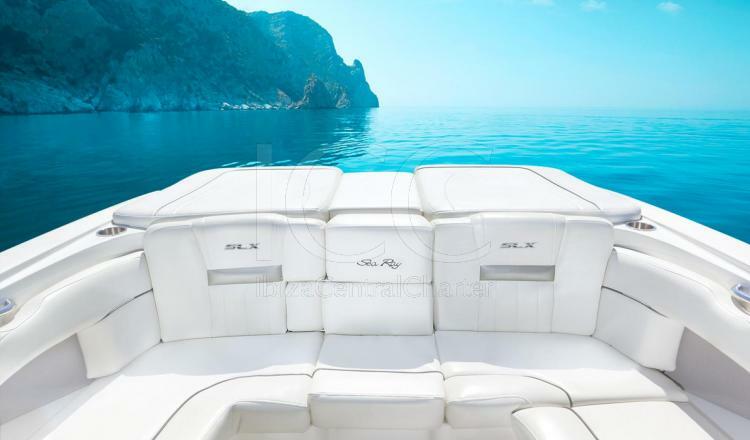 This area is ideal to replenish the necessary forces to continue discovering the different beaches of Ibiza and Formentera. The wide distribution of your bathtub allows you to settle an additional solarium aft. 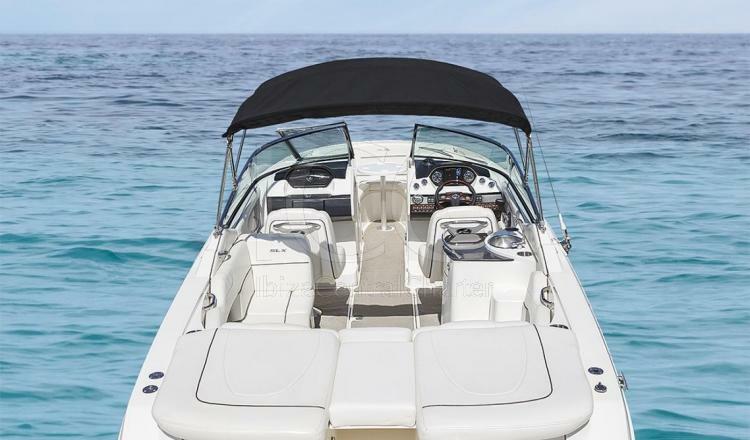 The Sea Ray 270 SLX DSC offers on board all the necessary amenities, such as a toilet inside, to ensure a holiday in the Mediterranean Sea in total comfort. - Towels, ice and drinks.